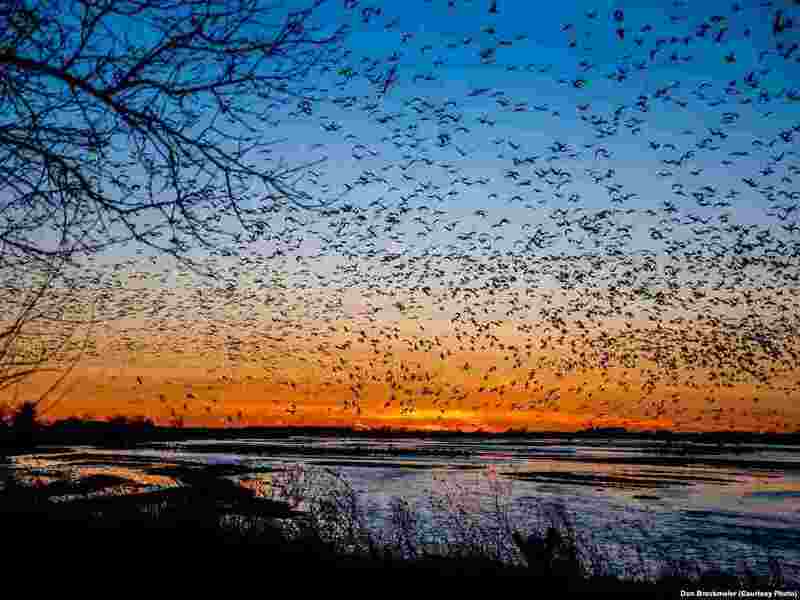 One of the world's greatest migrations pauses every March in one humble place, central Nebraska's flat landscape full of cornfields, located in the middle of the United States. While people may fly over or drive through the area at high speeds on Interstate Highway 80, sandhill cranes stop to appreciate the adjacent wide, braided channels of the shallow Platte River to roost and feed. Last year, a record 1 million of the lanky, playful birds -- about 85 percent of the world's population -- stopped on their northward migration. 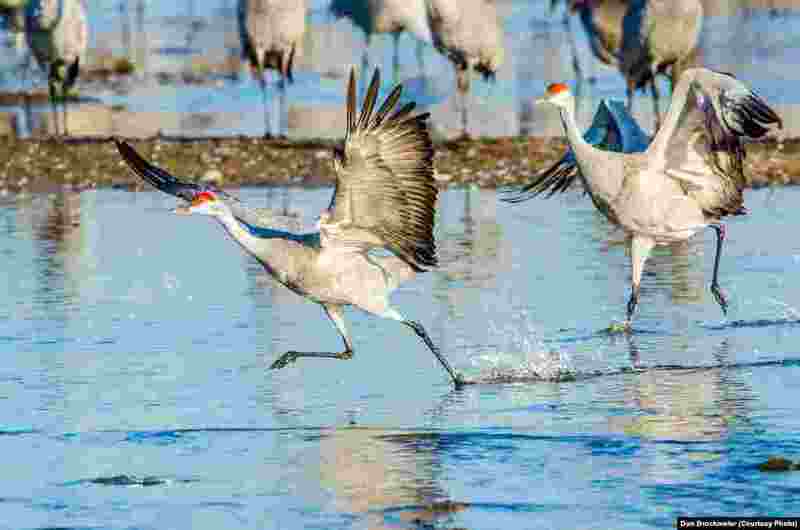 1 FILE -- Sandhill cranes begin a playful hopping and leaping as the sun rises on the Platte River in central Nebraska, a staging location on one of the world's largest migrations. 2 FILE -- Sandhill cranes fill the skies at sunset, descending to their roost on the river where they are protected from predators. 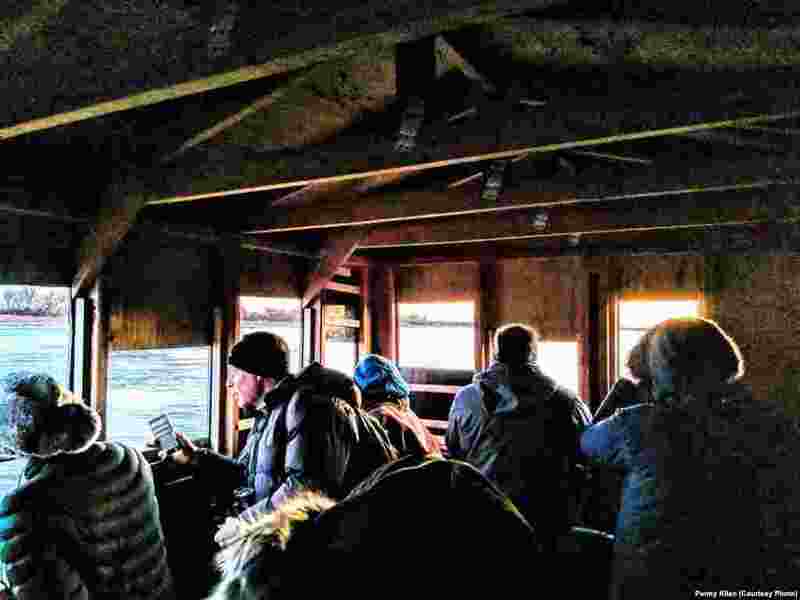 3 As the sun rises, crane watchers look out the holes in the blinds at Aububon's Rowe Sanctuary to spot sandhill cranes perched on the river or flying overhead, near Gibbon, Nebraska, March 16, 2019. 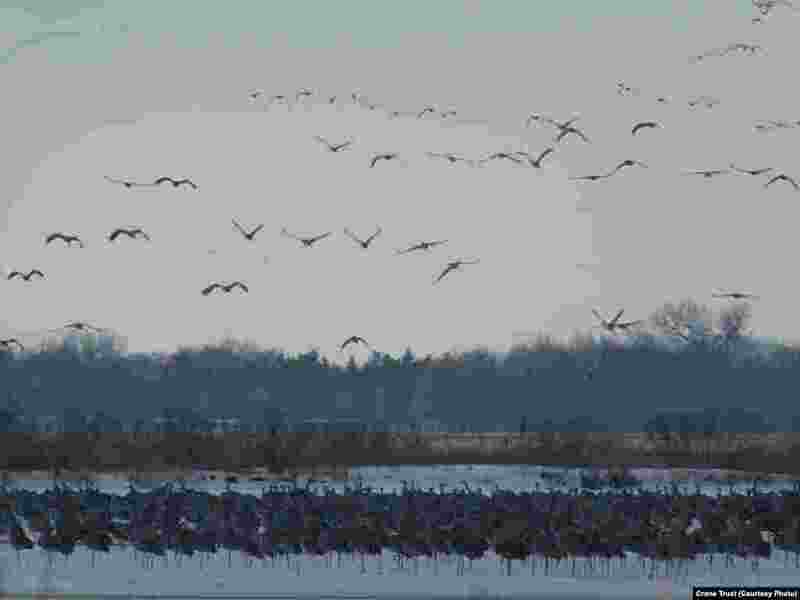 4 FILE -- The evening rush hour on the Platte River includes thousands of sandhill cranes drifting down from the sky at dusk to find a place among the masses standing in shallow water on the river, Feb. 22, 2019.